Winter is about to hit the Lehigh Valley and that can make not only for some of the most beautiful sights anywhere, but also for some cold mornings. Anyone who has ever had to make an early morning commute knows that one of the worst parts of the day is waiting for your car to warm up. Thankfully, nearly all newer cars are more efficient than ever and warm up much quicker than cars even five years ago. That being said, there are a few ways to speed up even the speediest heating system by doing just a few things. After about five seconds or so, you’ll hear the fuel pump priming the engine, meaning it’s ready to heat up. Now, you’re good to start the car. Your car isn’t going to be producing heat right off the bat, so you don’t want to start blasting cold air throughout the car. Drive for a few minutes without the fans on before turning them on to warm air. Open up the dash vents so that the first batch of warm air is pointed at your chest, allowing you to warm up quicker. After you feel a bit better, turn on the foot vents as well. 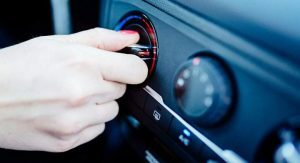 Of course, this won’t work for each and every car, but it’s a good routine that can help you beat those cold winter mornings in the Lehigh Valley.